Next up in our NextGen (Gen Y & Z) DNA characteristics series is the third DNA aspect: ‘I am making it’, in other words: personalization. One of the questions we asked in our global cross-generational study to four different generations was “What brand characteristics do you find most important?”. A long list of thirty-two randomized brand items was shown, including being socially engaged and hyper-personalization. As a result, we concluded that personalization is very important for Gen Z. Social engagement of brands is less important to them than to Millennials. For the latter, giving something back to society is equally important as customization. Thinking back to Gen X, my generation, marketing and branding were all about prestige and status, showing you made it, having a good career, earning money and showing off. We were the yuppie generation and wanted to buy our coolness with global, strong prestige image brands. For Millennials, the focus switched to connecting with friends, the power of the collective, the “together-we-can-make-it” feeling. So think of we-selfies and flash-mobs at wedding parties. 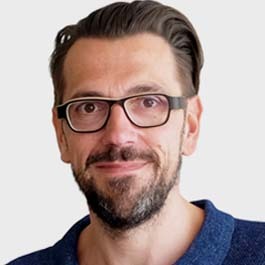 They want brands that are open to collaborate with them, and co-creation campaigns certainly catered to their need for involvement. We know the we-conomy, or share-conomy, as typically a shortcut strategy from Millennials, who value access and experiences over ownership. The youngest (Gen Z), however, evolve towards the me-conomy. Individualizing their products is much more important to them. In the past, Lay’s has done co-creation campaigns that were perfect to connect with Gen Y: co-create a new flavor and then produce it for the entire market. But PepsiCo also understood that teens of today want something personal. In a Lay’s summer promotion, you could create your own crisp packaging and the first 10,000 that made a nice design received a box with their own personalized bags of crisps. The me-conomy is clearly rising with Mondelez earning over US$2.6 billion with direct-to-consumer sales of personalized Oreo Cookies. Gen Z embraces a failosophy: failing is cool. We saw the rise of events like F*ck-up nights and Fail conferences, where young entrepreneurs talk about the mistakes they made, the way they f*cked up their own business and what they learned from it all. Failure is an option for the youngest. Gen X, on the contrary, would never have talked about their failures, only about the good things they have done. Failing is like the new achievement, because the youngest generation feels “It is better to be absolutely ridiculous than to be absolutely boring”. This series of 4 articles highlights 4 key DNA aspects of what is called NextGen – a combination of Millennials or Gen Y (currently the young adult generation of 21-36-year-olds) and their successors, Generation Z (aged 6-20 today). 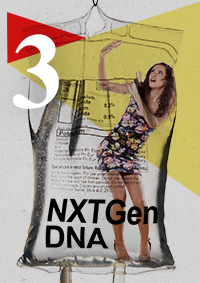 To get to this NextGen DNA, InSites Consulting interviewed 10,000 people from 4 different generations: Gen Z, Gen Y, Generation X (aged 37 to 52, the parents of Gen Z) and the Baby Boomers (aged 53 to 70, the parents of Millennials) in 8 different countries across Europe but also in the US and in Australia. The interviews allowed us to identify significant and relevant differences between these generations and to find out more about this next generation of consumers: Gen Y and Gen Z. Over the past months we shared the first DNA characteristics: The Snappy Generation – NextGen is dreaming of a better world.